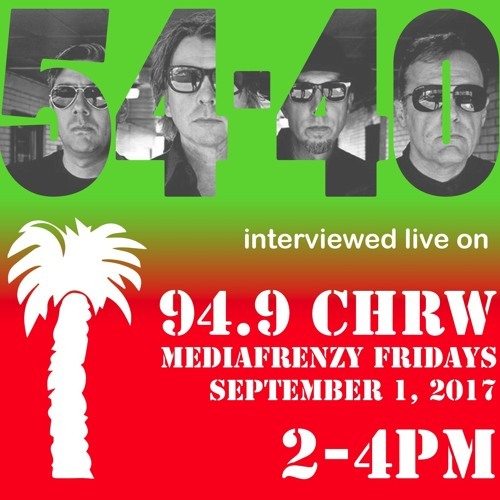 54-40 interviewed live on CHRW for MEDIAFRENZY FRIDAYS, September 1st, 2017. Host DJ MEDIAFRENZY speaks with Matt Johnson from 54-40 about latest summer tour, new album, historic venues and their endurance and longevity as one of Canada's best rock bands. Be sure to check out their show at the Western Fair, Friday, September 8th, 2017 and visit https://www.5440.com and http://music.5440.com/track/keep-on-walking to download the new single! Tracks "Since When" and "Keep on Walking" sandwich the interview, used by permission from the band.